OK, Google, hit the road. 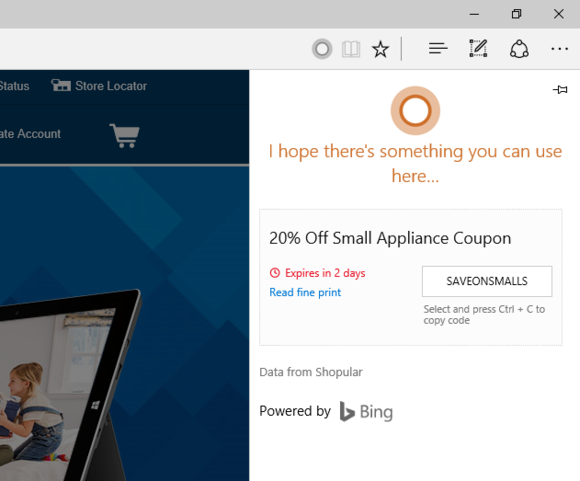 Microsoft is tightening control over Cortana. Only its Microsoft Edge browser and Bing search engine will work with searches initiated through Windows 10’s digital assistant, the company said Thursday. Microsoft isn’t prohibiting third-party browsers like Opera and Chrome from working with Windows 10, and you can still configure the operating system to launch those browsers by default, when, say, a coworker emails you a link to a Web page. But, if you launch a search via Cortana, only Edge and Bing will be used to complete it, Microsoft said in a blog post. Microsoft said that the “only way” it can deliver a “personalized, end-to-end search experience” is by integrating Cortana, Edge, and Bing. Why this matters: Whether Edge and Bing are the “only way” that Microsoft can deliver these experiences is open to debate—possibly in front of a judge. 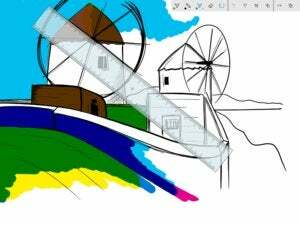 (In 1998, Microsoft was sued by the U.S. government, which argued that bundling Windows with the Internet Explorer browser constituted an illegal monopoly—a claim that looks fairly absurd, given the state of apps and how they’re integrated in operating systems today.) But Microsoft clearly wants to use its services to provide the best experience possible, which is no different than Google displaying directions to a location within its Google Maps app in Android. Its's worth pointing out, though, that Google Now on Tap will pull out contextual information about what you're looking at on your screen whether or not you're using Chrome or another browser. Cortana will automatically unearth deals coupons on shopping websites. 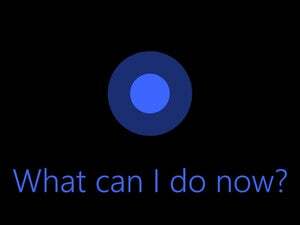 Lest consumers begin grumbling, Microsoft also provided several examples of searches that users could perform with Cortana—and that would provide benefits that other browsers couldn’t provide. Search for “Pizza Hut” in the Cortana box and, once you’re on the Pizza Hut website in Microsoft Edge, Cortana can show you the closest locations. Search for “Bluetooth not working” in the Cortana box and Bing serves up a GIF on the results page, describing how to solve the problem. 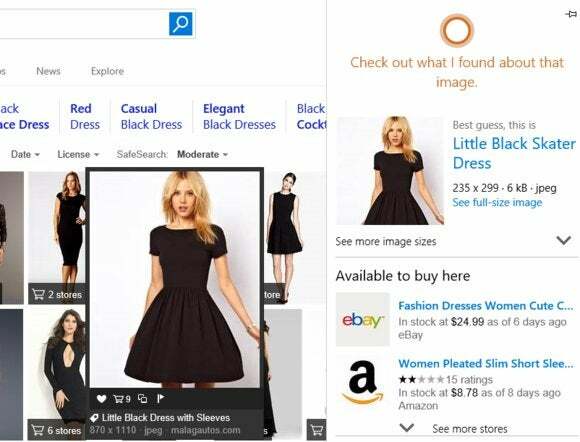 While shopping for a dress in Microsoft Edge, you can perform an image search in Bing and then right-click a dress to Ask Cortana to get you more information on it. A list of stores and prices appears. Granted, other browsers perform some of these same functions: If you search Google for Pizza Hut on Windows 10, the results page will list the closest locations, as well as a one-click link to directions on how to get there. Searching for “Bluetooth not working” also produces a callout card with directions to fix your problem—though not a video. But Microsoft said that its also working on “future scenarios” where you might search for tickets to a Rihanna show, for example, and Cortana finds the best tickets and offers to purchase them. Users generally don’t like being told what they can and cannot do with Windows—as the perpetual outrage over the forced Windows patch updates and upgrades demonstrates. You tell us: What’s your take on all this? Updated at 11:08 AM on April 29 with additional details.